Dimensions are ±5% length and width or .015"; whichever is greater. MB = .005" / .030"
Higher voltages and capacitance values are available with "stacked chip" configurations and thickness maximums greater than .350". Other chip sizes also available. Please consult the factory. 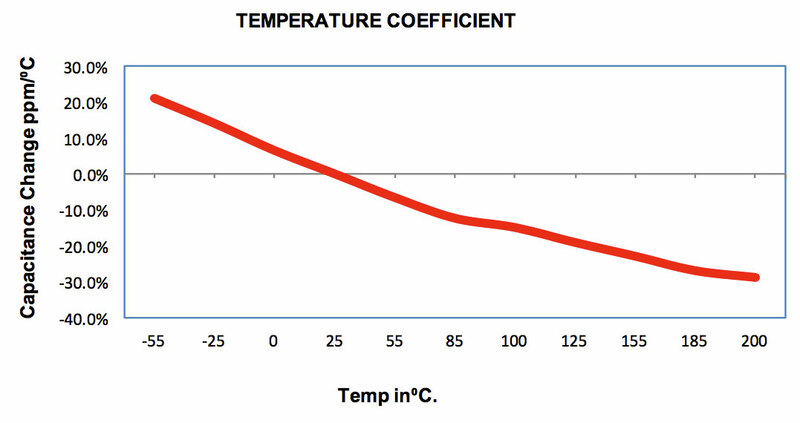 This is the Class I temperature compensating dielectric. N2200 is non-piezoelectric and particularly well suited for repetitive high current pulse type applications (where long charge/discharge life is required). N2200 also has no voltage coefficient, which makes it more volumetric efficient than X7R at higher voltages. 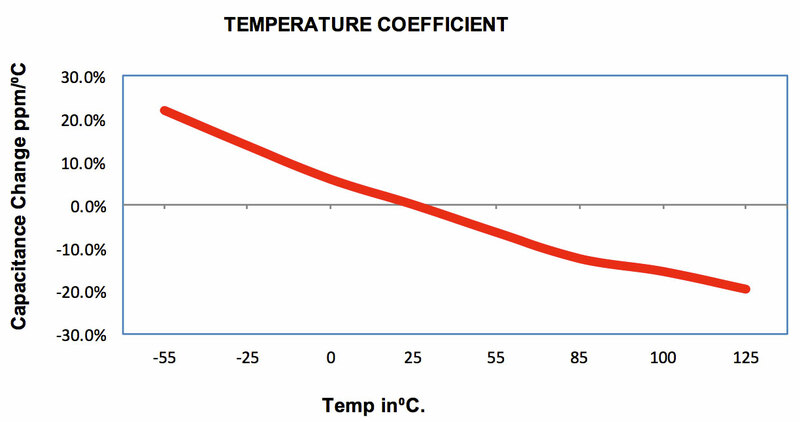 Also, the lower ESR (DF=.1% typical, X7R=1.8% to 2.5% typical) as well as increased capacitance at lower temperatures is an additional benefit in many applications. 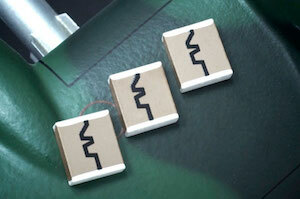 As a safety feature an integrated bleed resistor can be included on the capacitor. This can either be a single resistive element or dual for redundancy purposes. Typical resistance values range from 100MΩ to 500MΩ at ±20%. Although other values and tolerances can be specified. 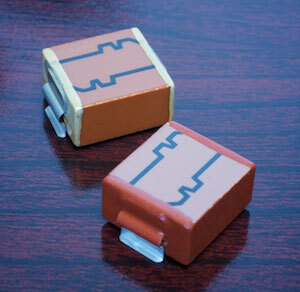 Resistors are stable up to 200°C. Fuze caps with an integrated bleed resistor will be coated with our clear, high temperature, high voltage and moisture resistant protective coating. All other fuze caps will be coated with our red urethane varnish.